Several years ago, USA Swimming developed a series of swim meets across the U.S. called the IM Xtreme Games in order to promote and reward versatility in age group swimming. The idea is to hold meets in various parts of the country (e.g., East Coast, West Coast, Midwest) that pit swimmers with a minimum “IM Extreme (IMX) Score” (explained below) against each other in 5-6 events (e.g., 500 free, 100 back, 100 breast, 100 fly, 200 IM) to see who is the fastest and most versatile across all 5-6 events. The 2016-17 IM Xtreme Games for the Northeast U.S. will be held January 27 – 29, 2017 at the University of Maryland College Park, MD. This is a fun (and grueling) meet for the kids (and parents) in that it is one of the very few meets where each kid swims every event. High point awards are handed out by AGE (not age group) and because everyone is swimming the same events, the most well-rounded swimmers generally do the best. The Northeast region includes teams from the Adirondack, Allegheny Mountain, Connecticut, Maine, Maryland, Metropolitan, Middle Atlantic, New England, New Jersey, Niagara, Potomac Valley, Virginia and West Virginia LSCs. To qualify for this meet, swimmers in the Northeast region must have a minimum IMX Score of 1,800 points for all ages and genders. Other regions of the U.S. require a lower minimum score (1500). To obtain an IMX Score, a swimmer first must swim all of the events required for their age group in a sanctioned meet since the start of the current season (i.e., short course yards (SCY) season or long course meters (LCM) season). For 10 & unders, these events are 200 Free, 100 Back, 100 Breast, 100 Fly, and 200 IM. For 11 and 12 year olds, they are 500 Free (or 400 Free in LCM), 100 Back, 100 Breast, 100 Fly and 200 IM. For 13-18 year olds, the events are 500 free (or 400 free in LCM), 200 Back, 200 Breast, 200 Fly and 400 IM. Swimmers must complete all of those events in the same course (SCY or LCM) to have an IMX Score in that particular course. 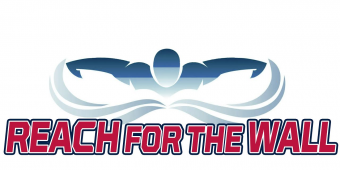 Scores are based on the amount of power points that a swimmer obtains for each event (you can calculate your power point score instantly using this calculator). For IMX purposes, both short and long course seasons start September 1 and end August 31. 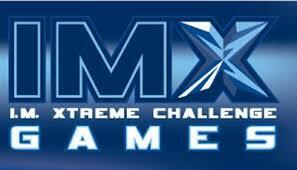 For more info about IMX, see USA Swimming IMX Challenge. Swimmers with an IMX Score of at least 1,800 points can swim in the IM Xtreme Games – Northeast on January 27-29 at the University of Maryland. Here are the results from last year’s IM Xtreme Games. USA Swimming was kind to us in the Northeast region this year in that the IMX Challenge does not conflict with the Super Bowl. In the past, the IMX Challenge meet took place the same weekend as the Super Bowl, so it was always a toss-up – watch Super Swimming or the Super Bowl? This year, no need to compromise, the Super Bowl is on the following Sunday. Let us know if you have any questions and what you / your swimmers think of this meet! The 13-14’s have a pretty intense line up of events (400 IM on Friday, 200 breast, 200 fly and 500 free on Saturday, and 200 IM and 200 back on Sunday)! We know some swimmers in that age group that love this meet and also those that love to hate it!